The Exilis machine is a monapolar radiofrequency device. It uses radio waves that oscillate at 2 million times per second. These waves are focused using a hand held wand. The waves travel from the wand to the electrode patch on your skin. Because it is a monapolar device, Exilis can focus its energy on the treatment area and therefore needs less energy to achieve the same results. The rapid 2 million per second oscillations cause the molecules in your dermis to rapidly heat up. While your skin is heating however, the Exilis device is continually monitoring and cooling your skin to prevent overheating. Treatment produces a rapid but controlled heating of the skin and subcutaneous regions. Lower focused energy plus active skin cooling equals a marked reduction in client discomfort. What was once a painful experience is now so comfortable no sedation or local anesthesia is required. Subcutaneous fat in the treatment area is reduced when using the Exilis body probe. This fat, which exists in grape like globules under the skin is broken down during the treatment and then mobilized and eliminated from the body. So a slimming effect is noted almost immediately in the treatment areas. Results vary, but the majority of clients see a measurable reduction in the circumference of the treated area. Fat clusters are wrapped in a fibrous tissue layer like a hairnet that holds them together. This fibrous tissue layer made it virtually impossible to reach the fatty clusters without a liposuction cannula (hollow stainless steel tube)—until now. The Exilis uses the dual function radiowaves to volumetrically heat the deeper tissues, and then blasts the fat cells with the radiofrequency heat to ramp up their metabolic activity and shrink them. Through clinical studies it has been demonstrated that the Exilis radio frequency stimulates the fat cell to emulsify (liquefy) the fat within the cell. Then the liquefied fat moves from inside the cell through a temporary pore formed in the cell membrane to outside the cell where it is absorbed by the lymphatic system and then eliminated from the body in the urine and stool. This results in millions of fat cells becoming smaller so inches are reduced off the waist, hips and thighs. 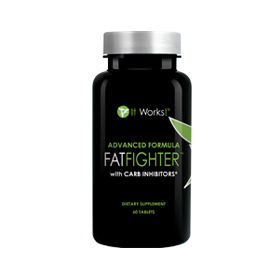 The fat cells are not injured in any way by this process. The skin is the largest organ of your body. It is the first line of defense against bacterial and viral infections, it helps regulate our body temperature, and it serves as a mechanism for vital functions such as the production of vitamin D during sun exposure. The skin consists of several layers. The epidermis is the outermost layer and consists of dead skin cells. This layer continually sheds as new skin cells replace it. Below the epidermis is the thicker dermal layer. Here collagen fibers give the dermis elasticity and tone. Below the dermis is the subcutaneous region. Fat, nerves, arteries and veins exist in the subcutaneous region. Our skin has remarkable regenerative abilities. Think of how fast you heal after you get a small cut. Part of this regeneration is the formation of new collagen which is produced in response to the injury. Collagen has a helical appearance under the electron microscope. This helical shape gives skin its elasticity. Think of a coiled spring. If you pull both ends it snaps back into its original shape. Our collagen works in a similar fashion. Pinch your skin and it snaps back. Only as we age our collagen gets tired and fatigued. It stretches out and loses its elasticity. The “snap” we had at 18 may be more of a sag or a droop now. Our faces look tired and we get wrinkles in areas we wish we didn’t. So what if you could replace the old collagen with new? Take that tired old spring and put a new tight spring in its place? You could possibly get some of that youthful snap back in place and look younger with less sag and fewer wrinkles. That is exactly what we attempt to do at New Contours using the revolutionary Exilis radiofrequency machine. Subcutaneous fat in the treatment area is reduced when using the Exilis body probe. This fat, which exists in grape like globules under the skin is broken down and then mobilized and eliminated from the body. So a slimming effect is noted in the treatment areas. Results vary, but the majority of clients see a measurable reduction in the circumference of the treated area. By defining zones to be treated, Exilis works to remove fatty deposits in those specific areas thus we are able to sculpt the body uniquely for each clients’ needs. If there is unwanted fatty deposits behind the knees that can’t be exercised away, Exilis can treat that area. If there is stubborn fat or lax skin on the love handles then Exilis can help sculpt those areas. With exercise and good hydration, Exilis treatments can be an effective tool to help shape the body.